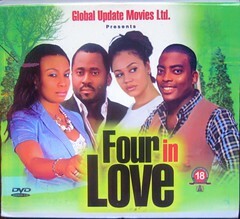 One day Chelsea played by Jackie Appiah loses her dad’s phone containing all of his business contacts and information. It falls into the possession of Jacob played by Ruffy Samuel Quansah who goes to return it, despite the encouragement of his friend who tried to persuade him to keep the expensive handset. After meeting him again Chelsea starts to have dreams about him and very soon they are dating. Chelsea’s dad seemed to love Jacob but will he feel the same knowing that his daughter is dating him?